Watch IMF Chairman Dr. Brian G.M. 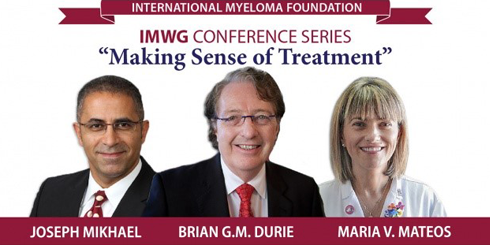 Durie, IMF Chief Medical Officer Dr. Joseph Mikhael, and Dr. Maria-Victoria Mateos as they discuss the latest news and trends from the International Myeloma Working (IMWG) Summit during the popular livestream IMWG Conference Series, "Making Sense of Treatment” at 6 a.m. EST on Wednesday, June 13, 2018. This livestream will take place during the 9th Annual IMWG Summit in Stockholm, Sweden. More than 100 of the world’s top myeloma experts will attend the 2018 Summit, which convenes on the eve of the 23rd Annual Congress of the European Hematology Association (EHA). Throughout the Summit, myeloma experts will debate how best to treat patients in 2018 and beyond. 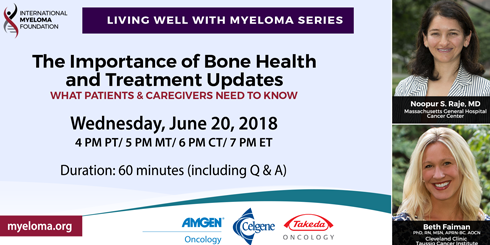 Live and archived webcast will be available at myeloma.org. The American Society of Clinical Oncology (ASC0) 2018 annual meeting came to a close this past Monday in Chicago. As the hubbub around the meeting settled, IMF Chairman of the Board Dr. Brian G.M. Durie summarizes the key takeaways from ASCO 2018. Additionally, the IMF is privileged to have a series of videos from top opinion leaders who emphasize in their own words the significance of a number of ASCO presentations. 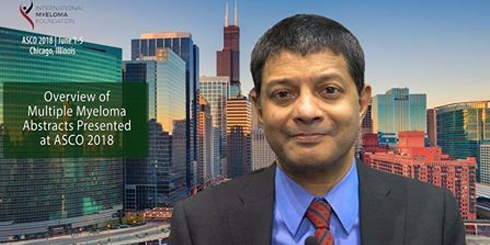 This week, we feature Dr. S. Vincent Rajkumar (Mayo Clinic, Rochester, MN) and his talk about the top five promising multiple myeloma presentations at ASCO 2018. 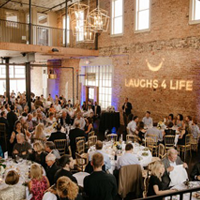 On Wednesday, August 1, 2018, comedians Tig Notaro, Nate Bargatze, and others will perform at 7:30 p.m. EST at the Saenger Theater (201 Forest St.) in Hattiesburg, Mississippi, as part of Laughs for Life. 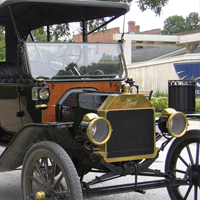 Proceeds from this event will benefit the International Myeloma Foundation’s research initiatives. The IMF will conduct a Regional Community Workshop in Dearborn, Michigan, on Saturday June 30, 2018. Registration is FREE, but seating is limited. This is a wonderful opportunity to learn from and meet one-on-one with myeloma experts Craig Cole, MD (University of Michigan, Ann Arbor, MI); Erica Campagnaro, MD (University of Michigan, Ann Arbor, MI); and Deborah Doss, RN, OCN (Dana-Farber Cancer Institute, Boston, MA). On May 31, 2018, a Patient & Family Seminar was held in Bilbao, the Basque capital of Spain. It was the first seminar of its kind at this location. Dr. Jesus San Miguel, an International Myeloma Working Group (IMWG) member, and Teresa Regueiro Lopez, President of CEMMP, led this meeting. The meeting was broadcast on Facebook Live. 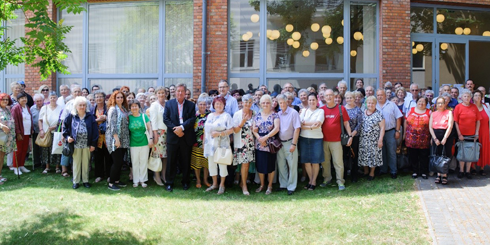 MOHA, the fourth-most influential association in Hungary, held its third successful Patient & Family Seminar in Budapest on June 2, 2018, with the lead of Dr. Mikala Gabor (St. Laszlo Hospital, Budapest) and Dr. Jean-Luc Harousseau (University of Nantes, Nantes, France) as a guest speaker. More than 200 participants attended this event that was filmed live and can be seen at the link below.